What Yoga To Seek On Your Holiday? Yoga!! We all have heard the whispers about the magic of yoga and what wonderful things the practice can bring not only to your life, but also to your holidays. So what are the major differences between the popular Bali yoga styles we see offered, and which ones will be right for you? Hatha, Vinyasa or Yin may be among the names you have seen advertised. The first thing to remember is that yoga is yoga: Whatever label it is given, it’s objective is the same: To bring mindfulness into your life by connecting you with your body, breath, and spirit. The practice is designed to help you become connected with the present moment rather than living too far in the past or thinking too much about the future. This is accomplished by introducing asana (postures) which will be practiced for usually an hour on your mat. It feels very much like a moving meditation, and is equal parts challenging, relaxing and aimed at balancing your energy. Along with that it may be the first time you have been asked to think about your breath in quite some time, which as we know has a major correlation to our health and state of mind. Sounds like a pretty ideal way to spend some of those holidays hours, right? Traditionally, Hatha yoga was the practice of self mastery, mastering the mind in meditation and the body in asana. It’s purpose? To bring balance. So typically in a Hatha class, you will spend a good amount of time focusing on the patterns of the breath, the quality of thoughts you are having also known as (your state of mind) and then how your body will respond to certain shapes. A hatha class generally has a much slower pace to it, giving the student time to settle into the pose, breath and become present. Postures are held for longer periods of time and there is more emphasis on alignment and connection. Fitness of the body is not the major focus, but rather balancing the energies of all three aspects: body, mind and spirit. Vinyasa is a direct descendant of the style Ashtanga, the eight-limbed path that came to be under the creation of Sri Pattabi Jois. Vinyasa brought a new energy to the physical practice, linking specific movements together with breath in a special way that created heat and fire in the body. Vinyasa, noted for its quick pace and strong cardiovascular presence, challenges students with seamless transitions between postures, and more creative sequencing. Due to this, it has become a very popular method especially in the west. There is still a focus on connection with breath, but a very different overall feel from Hatha. 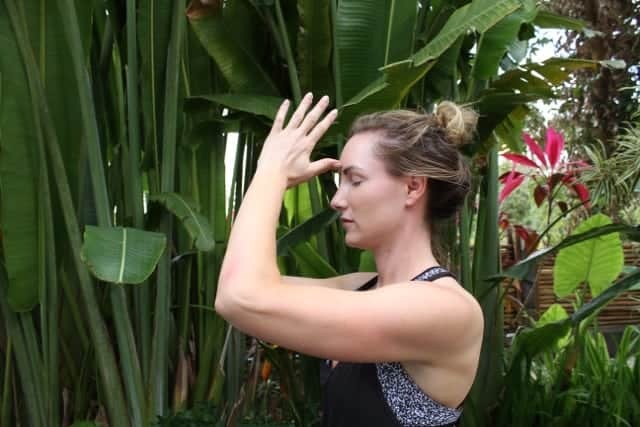 Yin, is the most recent addition of the bunch, is a practice that is all about lengthening the connective tissue in our body called fascia, which has been linked to postural imbalances, lack of flexibility and general discomfort in areas like our low back and hips. This practice contradicts the advice we all had as children about needing to warm-up before doing any deep stretching. In fact, yin asks that you have no warm-up at all before you go into some of the deepest stretches you may have ever been in. The science behind this is that once our muscles activate and become warm, the fascia (casing around the muscles) is no longer affected. So in a yin class, you will go into deep stretching with incredibly long holds to start to reset the way our fascia holds our muscles, and in turn relieving some of the physical discomforts we may experience on a daily basis. Each posture is usually held for 5 or more minutes, and has a major focus on the hips, shoulders and low back. Most of the class is done sitting on the mat, using props to help you find the right depth. This class to an observer may seem quite relaxing, however due to the intensity of not only the pose but the length of time its held, it is anything but… yin is a mental challenge, as well as physical. However…… all three styles always come back to the breath, and are created for brining balance to the body, mind and spirit. Our advice is try out what ever is available as there are great lessons to learn in each, but if you are looking for a yoga focused holiday we hope these tips can help you choose the practice you feel will suite you best. Don’t forget that most of our surf destination offer a yoga component so what better time to start than on your next vacation! Nestled on the west-side of the Bukit, which means “hill” in Indonesian, Bingin Beach is one of the Island of Gods most hidden treasure. Single Fin: Only Good Vibes! Named the “Best Surfers Bar In The World” by World Surf League, Single Fin is a prominent institution on the Bukit Peninsula.